"There isn't a lot to say about this cable; just pop it on the end of a 4-pin molex connector to create an instant connection for a 3-pin fan! The fan connection actually only contains 2-pins, since it can't provide any form of voltage control, however I bought mine to use with the Micro Fan Controller also available on modDIY, so the cable is perfect for my needs. If you absolutely need more fans in your system and don't mind them running at full speed (or you have resistor cables or other means of slowing them down) then this cable will do exactly what you need it to do. It also doesn't block the power connector, so you can still connect other devices to the other end; in my case I opted to connect a front-plate with temperature sensors, just the thing for checking my case is keeping nice and cool! 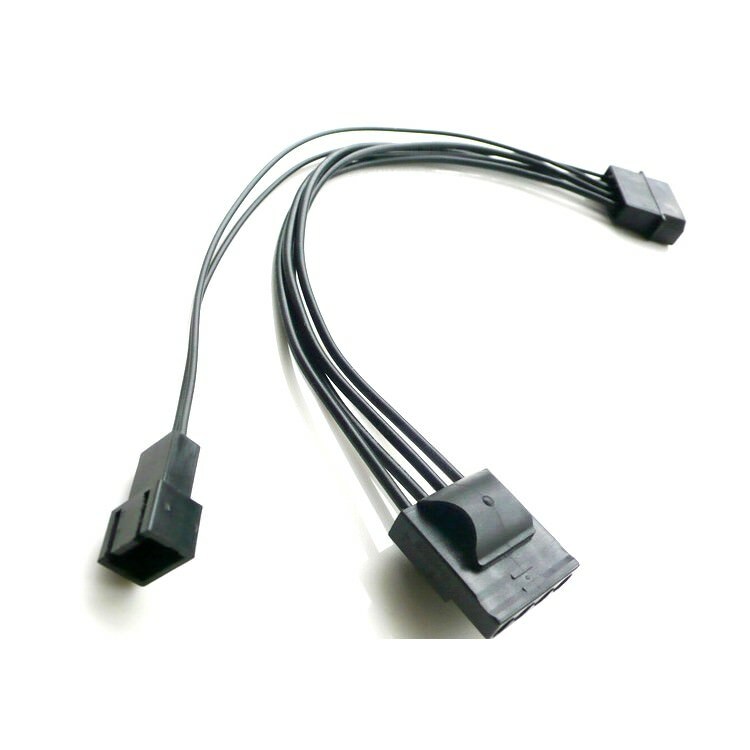 The build quality of the cable is great, in fact the male pins in the molex connector are actually pretty sturdy unlike many such cables which normally have loose pins that need to be coaxed into place, so there really isn't anything I can find to fault it on." 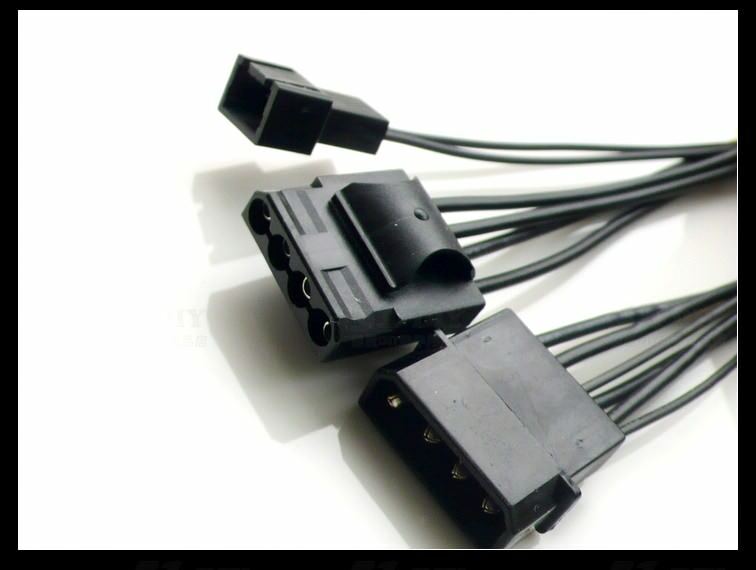 Click the button below to add the 4 Pin Molex to 3 Pin Fan plus 4 Pin Molex Cable 20cm to your wish list.